In the last two weeks Ben has resumed jogging three mornings a week. I am still going fairly slowly, only on the flat terrain, using the dirt next to the Ohlone Greenway bikepath as a soft surface. So far so good, as it is getting easier on my legs (they recover now without the bit of thigh soreness of the first few sessions) and I have avoided pain in the feet and knees. I feel I needed to revisit high impact work for bone strength, and cross train my legs for something besides spinning pedals. 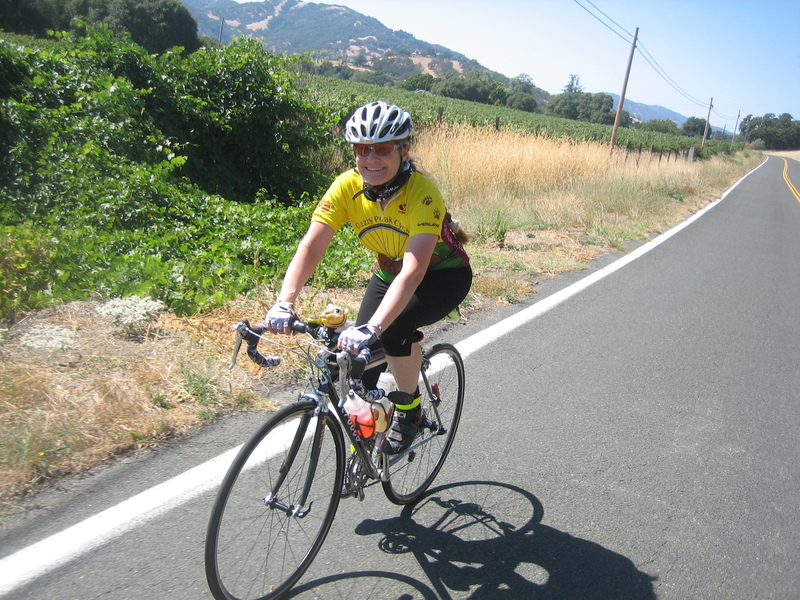 Last October Sherie and I rode a 100 mile ride in Mendocino county, the Harvest Century. This year the ride is scheduled earlier, over Labor Day weekend in early September. Sherie would like to do it, and I think it would be a fun challenge as well. Our recent weekend rides show us both with a jump in power/weight so we can climb faster than we had previously; we have just cut back the weekly total distance as Ben felt both of our bodies needed some recovery time. So after a couple weeks of less cycling during the week, it might be time to get back into it for cycling. I guess we should up the weekend mileage again, and I should start joining Sherie on the “long way” to work up the hill before descending to downtown Berkeley. And after watching a couple pounds go back on my body after our return from Europe, I guess it is time to again be really careful with the diet. Sherie and I are home safely. We had some long days after the Maratona, although we used Monday as a rest and organization day to recover from the efforts of the race. I will say that by Monday evening Sherie seemed pretty well recovered, but Ben still just wanted sleep. 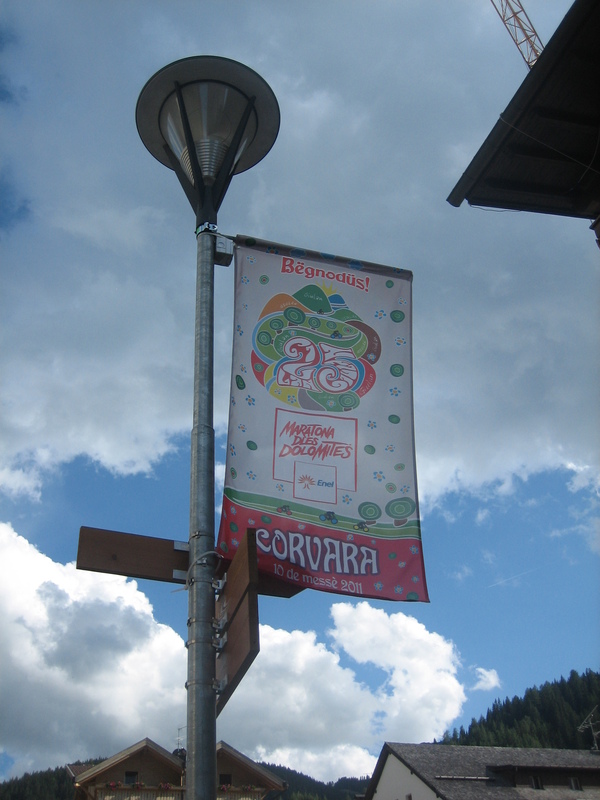 Tuesday we took the public bus from Corvara to Belluno. It is an absolutely beautiful ride, over Passo Campolongo to Arraba, then downriver all the way to the plains. The spires rise precipitously on each side of the road, becoming really spectacularly tall in the lower canyon. 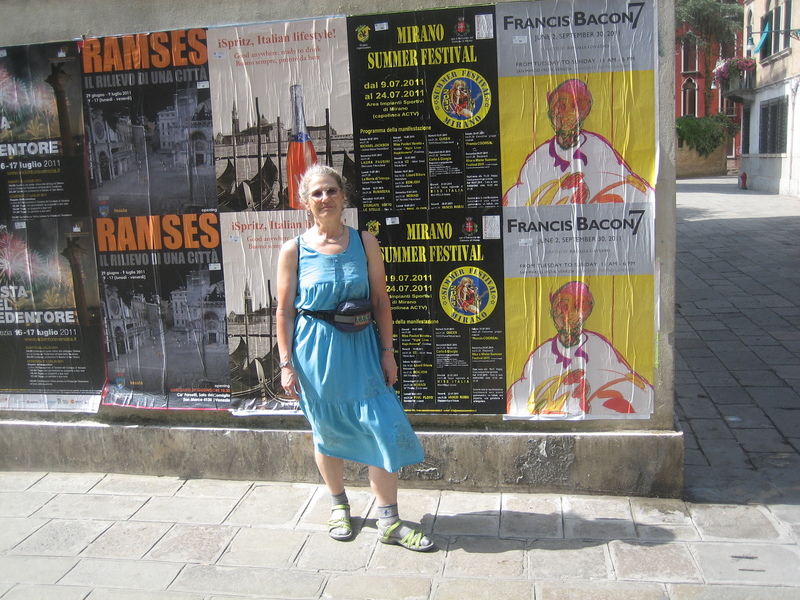 Then we waited in the cafe over panini and beer for the direct train to Mestre. It was worth the wait, as it allowed us to haul the bike boxes to only one platform and up one train, instead of two transfers. A short cab ride to our hotel, where the old folks were very helpful. It is really just a short walk from the train station, but with the bike boxes the cab fare of 14 Euro was worth it. Wednesday we spent in Venice. A pretty long day of walking and sightseeing. The heat and humidity were extreme; the only time Ben stopped sweating was inside the one air conditioned museum we entered (a tapestry through the ages exhibit) and the one air conditioned restaurant for lunch. I did ask Sherie that we see the Scuela at San Rocco and happily she agreed to go. It is truly an unbelievable interior of the upstairs room. Not to be missed for fans of Venetian oppulence. We did not let the heat spoil our appetites. The food in Venice is great, and we enjoyed meals of local seafood and decadent snacks and drinks. 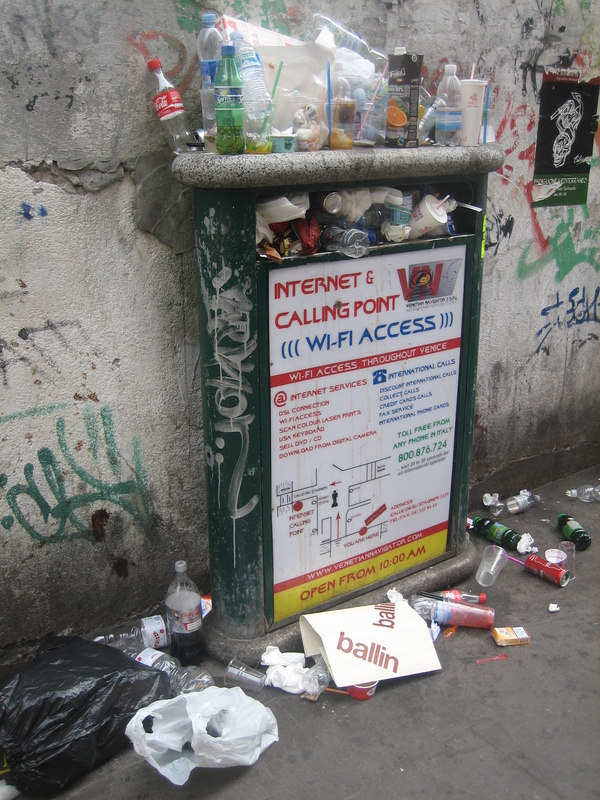 However, maybe I am a bit more jaded, but Venice seems more filled with graffiti, trash, and tourist clutter than on our previous visit. Especially near San Marco it was sometimes hard for me to see the historical beauty through the clutter. 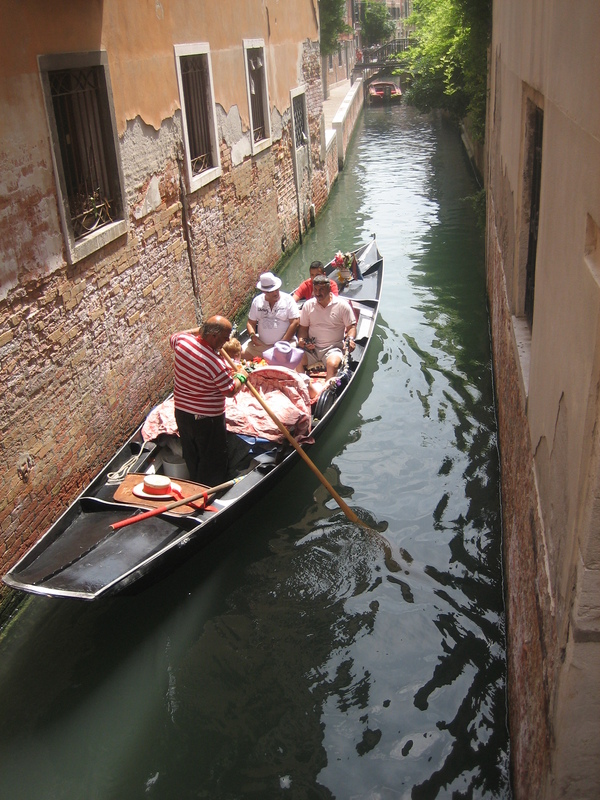 It was a long day in Venice, but an easy train ride from Mestre and the hotel. But not as long as the next day: 25 hours from taxi pickup in Mestre to the Marco Polo Airport, plane to Philly, next plane to SFO, then shuttle home. Just say that the little delays all added up to a really long day and some tired travelers. After a couple days getting sorted out at home, Ben is still not settled in his sleeping times (is he ever?). 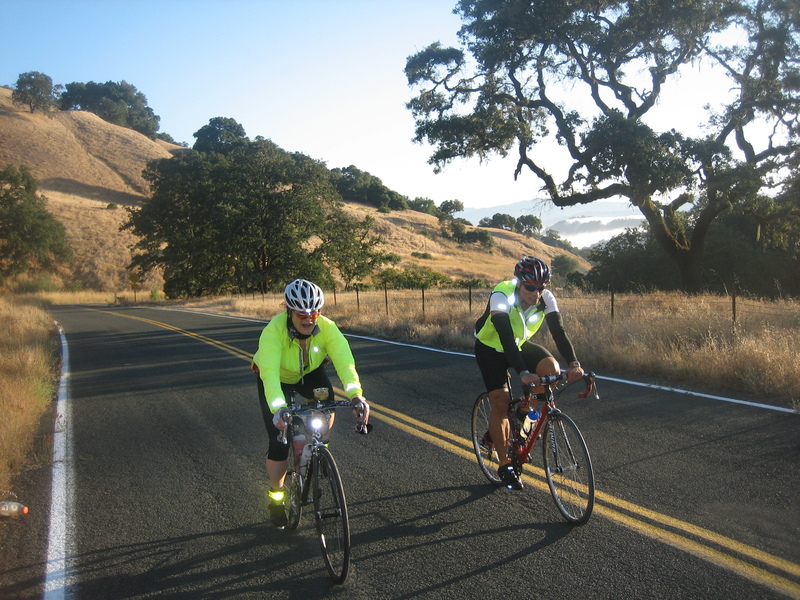 But on Sunday, we rode our bikes again with Grizzly Peak Cyclists in Marin (two bakeries loop from Miller Creek), enjoying our time outside with friends. 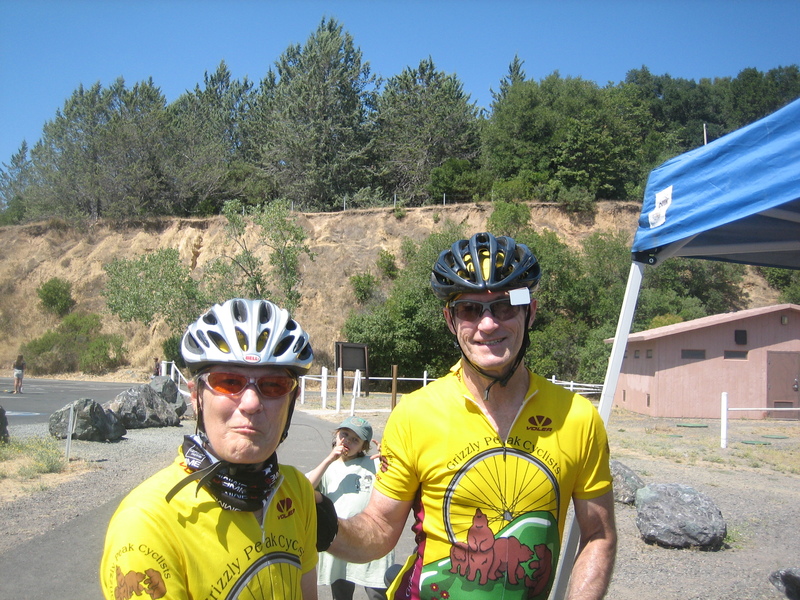 Neither Ben nor Sherie were particularly energetic, but we did survive a flattish 75 miles or so.